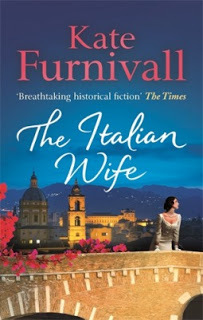 Fans of Kate Furnivall’s THE RUSSIAN CONCUBINE will be thrilled to be wrapped up in her next novel, set in Mussolini’s Italy. Isabella Berotti is a widow, after her husband, a Blackshirt in Mussolini’s army, was shot and killed. Ten years later, Isabella is now an architect, building for one of the new Italian communities after the draining of the Pontine Marshes. While sitting at a cafe during a beautiful autumn morning, a woman approaches Isabella and asks her to watch her daughter for a moment, briefly mentioning her dead husband. Isabella then watches the woman step off the edge of a tower to her death. Isabella is determined to find out the connection between this woman and her husband. A photographer, working for Mussolini’s government, documents the woman’s death and agrees to help Isabella figure out their connection and protect the child left behind. Even though this is a fictional account of Mussolini’s regime, it is based on factual events. Furnivall’s research is thorough and tells a spell-binding story of greed, control, and betrayal. It is both suspenseful and emotional. I was fairly uneducated about Mussolini’s reign during the 1930’s and was appalled by the similarities to Hitler and his brutality. Isabella was an impressive woman, working as an architect during a time when women were not valued beyond motherhood in society. Isabella was fiercely loyal to her father, her husband, and to her country. As she realizes the destruction and deception happening in her community she risks everything to get to the bottom of it. Roberto, the photographer, has a dark past, but becomes Isabella’s confidant and partner while they try to find out who is behind the corruption. Other secondary characters are well-developed, offering key insights and adding to the development of the story. The descriptions of Italy and the architectural designs are vividly detailed. The plot develops quickly and each chapter adds another layer that will keep you turning the pages. The romance that develops between two characters doesn’t dominate the story, but yet enhances it by Furnivall’s details. THE ITALIAN WIFE grabs your attention from the start and holds it until the final page is turned. Note: There are two covers depending on which website you look at. I’m not sure why, as I feel cover recognition is important to a book when it first debuts. I actually like the above cover better, but the one below is used on the author’s website. It’s possible the below cover is the UK version since the author is from Wales. ~ Update: Author Kate Furnivall has confirmed that the cover below is the UK version. Kate Furnivall was raised in Penarth, a small seaside town in Wales. Her mother, whose own childhood was spent in Russia, China and India, discovered at an early age that the world around us is so volatile, that the only things of true value are those inside your head and your heart. These values Kate explores in her bestselling first novel, THE RUSSIAN CONCUBINE. Kate is the author of eight novels. 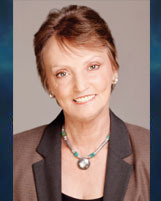 Her books have been translated into more than twenty languages and have been on the New York Times Bestseller list. For more on Furnivall, visit her webisite, HERE. You can also find her on Facebook, HERE, and Twitter, HERE. 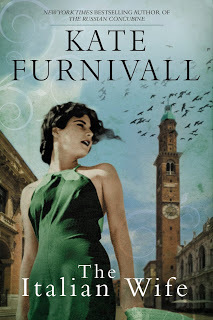 To see all of Kate Furnivall’s books, click HERE. Thanks to the publisher for sending a copy of this novel for the purpose of this review. I was not compensated in any way for this review. This review is my honest opinion. If you choose to purchase the book through the above links, I may receive a small commission without you having to pay a cent more for your purchase. Thanks for supporting SincerelyStacie.com.